One of three trails to run this year at the Vucko trail running event scheduled for 23.06.2018. 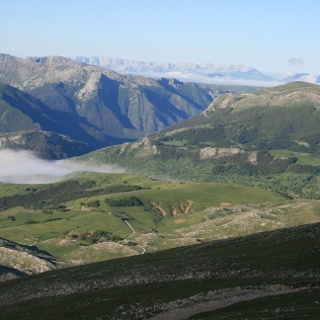 It runs through remote corners of Olympic mountain Bjelasnica, Lukomirand Umoljani villages and pasture lands. 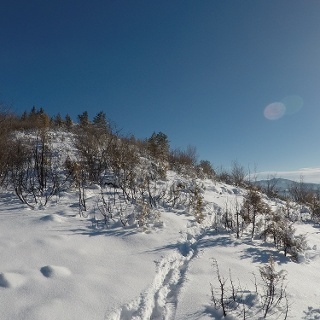 This trail goews through remote and untouched landscapes of Olympic mountain Bjelasnica near Sarajevo city, capital of Bosnia and Herzegovina. From the finish line of Olympic ski competitions trail goes to wilder side of Bjelasnica through forest and highlands, ancient villages and lands of legends. There are few more highlights on the way back to Babin do and finish line. For those of you in love with trail running, and those of you allways seeking new chalanges this is a great oportunity to see some great places and meet some great people. Will be provided by the Organizer. 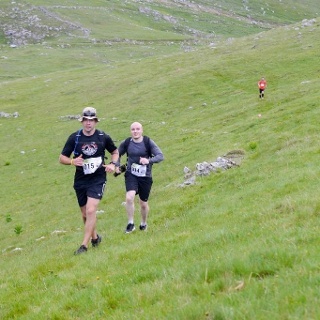 Pair of trail runners, water, whistle, first aid kit and mobile phone. From Hotel Bjelasnica you run down towards the ski lifts, and continue along the valleys at the end of ski slopes. After last building continue straight on the marked mountain trail up through the forest. At the end of the forest you enter in to open highland area, follow a dirt road along Dugo polje (Long field) all the way to village of Lukomir. At the far end, turn left to Lukomir. In Lukomir, at the end of the village continue on the trail along the slopes (do not descends down) The trail turnes left and follows the meadow curved by snake-like creek named Studeni potok. At the end it reached hamlet of Gradina and descend down to Umoljani village. When it get to the village road, turn right and through the village, and soon left towards hamlet Elezovici, north-most side of Umoljani. From the end of the village it gets on the trail again and over green hills it runs east. It joins road and descends down to Lukavac village, continues on the road and turn right over slopes towards mountain hut Bijele Vode. After hut, the trail crosses the road, and through the forest gets back to Babin do just before hotel Marsal. Minibus no 85 drives from Ilidza to Sinanovici. From Sarajevo airport drive towards Foca. At Krupac query turn right, and at junction to Igman continue straight-left after stop sign. Hotel Bjelasnica is first on the left, at the entrance to valley Babin do. Parking available in front of the hotel. If full, main parking lot is right down below the main road. beautiful and demanding trail leading trough some amazing landscapes.